Harpers Ferry US Rifle Model 1803 (Owned by Colonel Scott). Dated on lock “1814.” Courtesy of the Bennington Museum. In 1814, while at work tilling acres of his family’s farm, the postmaster dropped in with a letter addressed to the sweat-saturated 26-year-old. The letter bestowed on Martin a commission into the U.S. Army as an ensign. Contemporary accounts claim that Martin had not applied for the appointment, but he jumped at the chance for change. The rest of his life would be dedicated to serving his country. He accepted the commission and joined his company over 200 miles away at Sackets Harbor, New York. He received a promotion to second lieutenant in 26th Infantry Regiment on April 21, 1814, followed by promotion to first lieutenant in August. Scott joined the Regiment of Riflemen in April 1818. This new appointment and posting to Cantonment [Camp] Missouri located on the west bank of the Missouri River [Nebraska] would inaugurate a period of total misery for the young lieutenant. From the onset Scott was “intensely disliked” by his fellow officers and treated as a castaway. Scott’s reclusive and distant behavior gave the impression of being arrogant or ill-disposed toward others. To further add to this, Scott had no formal education and didn’t drink (preferring coffee over liquor), gamble, smoke or chew tobacco, which his fellow officers viewed with abhorrence. He was neurotically “close” with his money, choosing to live a meager lifestyle and dressing as simple as possible. All but two or three of his fellow officers tormented him by delivering insults and snubs or acting as if he never existed. Martin Scott. Courtesy of the Bennington Museum. The officers of Cantonment Missouri hoped these actions would force Scott to resign or seek a transfer out of the post, but the resilient officer would not budge. The officers tried to facilitate Scott’s exodus by baiting him into a duel with a desperate character, another crack shot from the regiment, Lieutenant Daniel Keith of Virginia. Contemporary accounts state that Keith suffered from tuberculosis and loved a good fight. Both shots rang out almost simultaneously. Keith collapsed to the ground, shot through the first button of his jacket as Scott had predicated. Scott himself walked away seeming unharmed, but Keith’s bullet had ripped through the lower half of his body, exiting out his back. Scott masked the severity of his wound and walked back to his room despite the excruciating pain. The bleeding officer was discovered a few minutes later collapsed on the wooden floor. The surgeon revealed that Keith’s bullet would have killed him had the ball struck only inches closer to the spine. Scott remained bedridden for days, but his “iron constitution and fine health” allowed him to fully recover. Keith also miraculously lived, and contemporary accounts claim that Scott’s shot had prolonged his life for a few years producing “a counter-irritation” by relieving his infected lungs. Scott was placed under arrest for this “petty quarrel” by Lt. Colonel Willoughby Morgan and found guilty of conduct unbecoming an officer at a court-martialed conducted in October 1819 (the charges did not lead to his dismissal). In May 1821, Lieutenant Scott transferred to the 5th Infantry Regiment. He was promoted to the rank of captain in 1828. 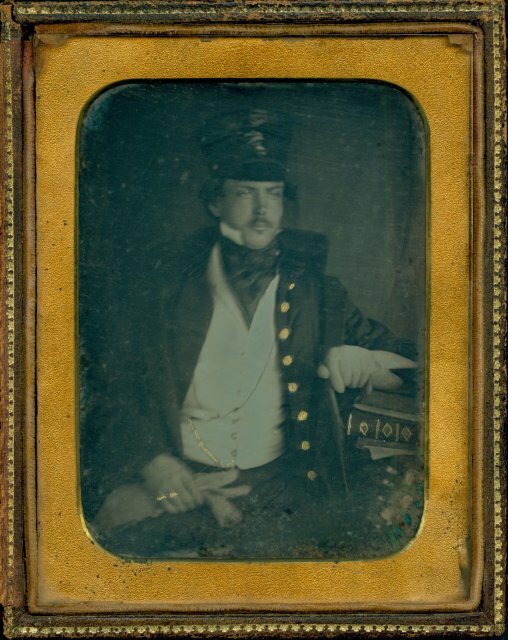 Scott earned “mythical” status across Minnesota, Wisconsin, and Michigan for his hunting, shooting, and horsemanship skills while stationed at Fort Howard and other garrisons in the region. He routinely went on hunts, mounted on a sleek black horse accompanied by a pack of yelping dogs, trailed close behind by his longtime slave, a boy named Jack. He found his solace on these lengthy hunts. 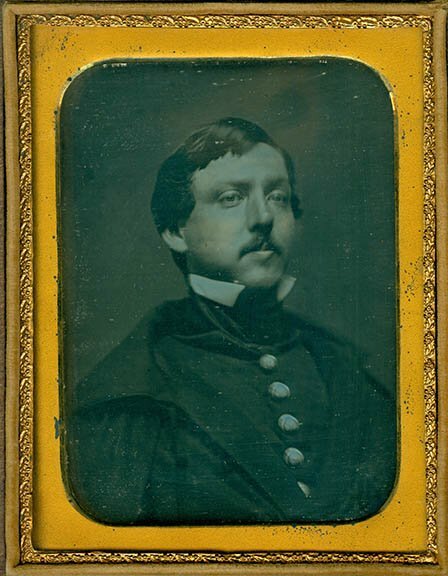 Lieutenant Randolph B. Marcy, assigned to “D” Company of the 5th Infantry – a future Union Civil War general and father-in-law to George B. McClellan –first met Scott in the spring of 1833 at Fort Howard. Marcy chronicled his rare friendship with Scott. He first overheard impressive tales (some farfetched) of Scott’s marksmanship, such as his ability to shoot two potatoes with one shot as they dropped from the air. Marcy substantiated some of these tales by witnessing them firsthand. “Some of his performances in rifle-shooting I have witnessed myself, and for great accuracy, I must acknowledge that they exceed anything of the kind I have ever before seen,” Marcy afterward attested. Marcy recorded one particular incident of Scott’s marksmanship. Scott fastened a single playing card to a tree and stepped back seventy-five yards. 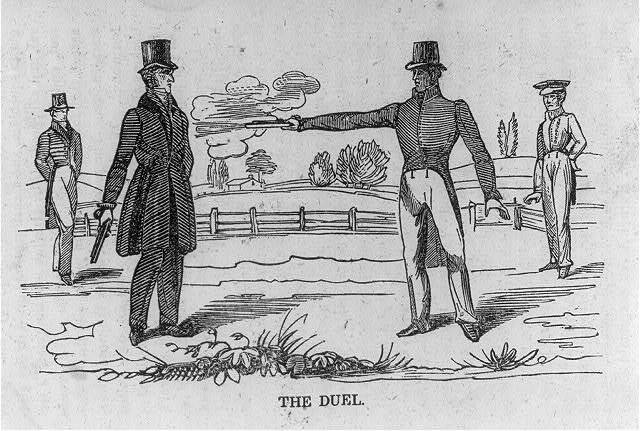 He then placed three balls and three patches in his mouth, and with a muzzleloader in one hand, and a powder flask in the other, fired and reloaded as quickly as he could at the center of the playing card in a total time of one minute and twenty seconds. Remarkably, all three shots hit dead on the same mark about the size of a dime, the first shot followed consecutively by two more shots. Marcy verified all three shots hit the same hole by digging them out of the tree’s interior and presenting the iron balls to the astonished spectators. 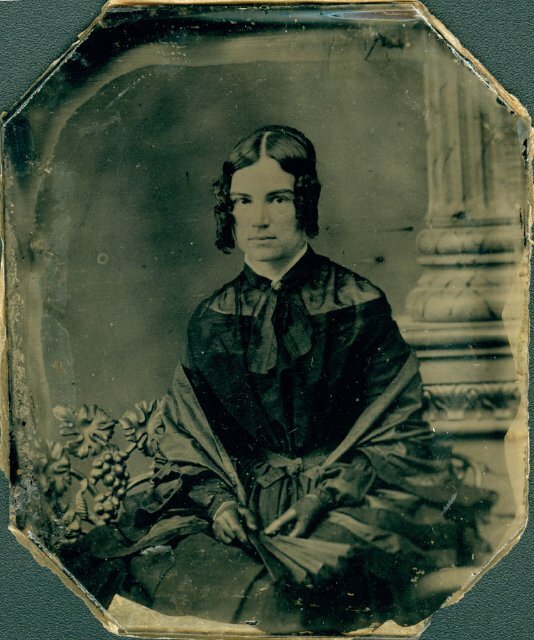 Mrs. Lavinia McCraken Scott. Courtesy of the Bennington Museum. For the introvert Scott, his canine companions exceeded any kind of human companionship. Two dozen or so dogs were crammed into his cramped quarters – nicknamed the “canine town” by a refined visitor named Elizabeth S. Martin – declared to be “as unique and graceful in dressing as oriental kiosks.” The dogs were to be treated with the utmost respect by visitors. Marcy recorded that the death of one of his favorite dogs caused Scott, “to walk his room in great apparent distress of mind during the entire night, and afterward place to body in a coffin, and, with his boy Jack leading his hunting-horse draped in black, follow it to the grave, and bury it with as much care and ceremony as if it had been a child.” Scott finally found human companionship in his early fifties when he married Lavinia McCracken, a talented painter and poet, in Rochester, New York in May 1841 (she would tragically die in the shipwreck of the Arctic in 1854). The eccentric gunman proved to be one of the U.S. Army’s most reliable officers when war broke out with Mexico in 1846. At times he held actual command over the 5th Infantry Regiment, fighting at the Battles of Palo Alto, Resaca del la Palma, and Monterrey with Taylor, and at Vera Cruz and Churubusco with General Winfield Scott. He received a brevet to major for gallant conduct at both Palo Alto and Resaca de la Palma, and another brevet to the rank of lieutenant colonel for his bravery and skill at the Battle of Monterrey. Despite spending nearly two decades in frontier posts as a lowly captain, Scott finally began to receive his due commendation and promotion. Scott’s brilliant ascent came crashing down at Molino del Rey in 1847. Before the battle, Colonel James McIntosh (in command of the 5th Regiment) took command of the brigade in preparation to assault the Mexican stronghold of Molino del Rey (his superior was out sick), leaving Scott as the next officer in line to command the regiment. The frontal attack was a bloody affair for the assaulting American units with Scott leading the Fifth Infantry as usual from the front line. Pushing over open ground in close proximity of the main Mexican position, many American officers and men ducked behind any shelter that could be found to protect themselves from the treacherous salvo of Mexican bullets (The young Lt. Winfield Scott Hancock distinguished himself in this battle). Scott remained upright in a suicidal gesture of valor as his men took shelter. Captain William Hoffman of the 6th Infantry Regiment cautioned Scott to take cover as everyone else. There are two contemporary versions of how Scott responded to Hoffman, the first being that he shot back, “The ball was never molded to kill Martin Scott” and the second being, “No, Martin Scott never skulks.” However he responded, a bullet punctured his chest minutes after, and he crumbled to the ground. Serene and aware of his impending demise, Scott propped his head under his forge cap to provide some relief and prepared to die. He handed his purse and watch to Captain Hoffman, asking him to deliver both articles to his wife before bleeding out. A war correspondent of the Delta took a stroll after the American victory to capture the scenes of death and destruction with his pen for readers back home. He came upon a grey-headed regular soldier – likely from the 5th Infantry – placing a blanket over the corpse of an American officer. He rode up, dismounted, and uncovered the officer’s face, asking the man to identify the officer. The teary-eyed soldier allegedly replied, “The best soldier of the 5th Infantry, sir. They have killed him – they will be paid for this – if it only had been me – I have served with him almost four enlistments but what will his family say?” The correspondent was moved by “how deeply” the man had been affected by the death of Lieutenant Colonel Scott. Bachman, Walt. Northern Slave Black Dakota: The Life and Times of Joseph Godfrey. Bloomington, MN: Pond Dakota Press, 2003. “Captain Martin Scott.” Game Laws in Brief and Woodcraft Magazine 1, no. 1 (April 1899): 86-88. Gale, John. The Missouri Expedition, 1818-1820: The Journal of Surgeon John Gale with Related Documents. Edited by ?Roger L. Nichols. Norman: University of Oklahoma Press, 1969. Guernsey, A.H. “Army Life on the Border.” Harper’s New Monthly Magazine 33, no. 196 (June- September 1866): 429-444. Hansen, Marcus L. Old Fort Snelling, 1819-1858. Iowa City: State Historical Society of Iowa, 1918. Howe, Henry. Over the World: Travels, Adventures and Achievements. Philadelphia: Bradley, Garretson & Co., 1883. Jennings, Issac. 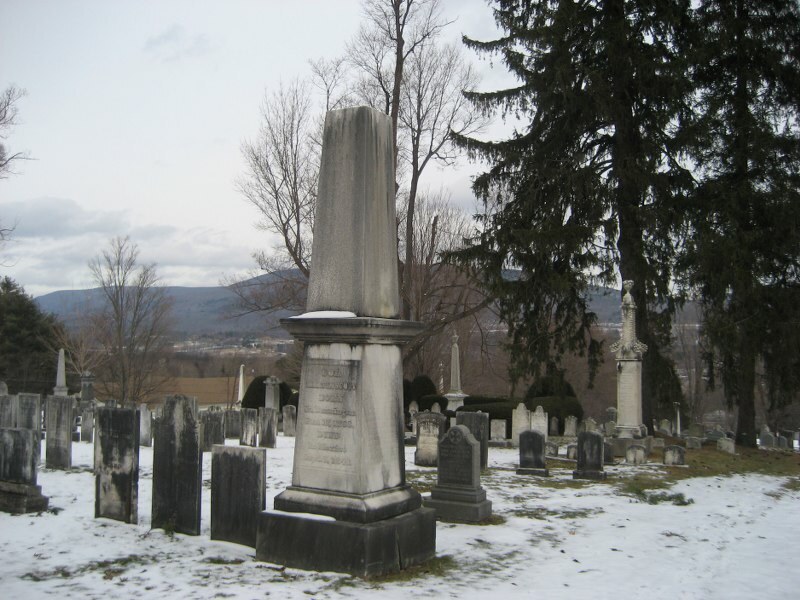 Memorials of a Century: Embracing a Record of Individuals and Events Chiefly in the Early History of Bennington, VT and Its First Church. Boston: Gould & Lincoln, 1869. Junkin, David X. and Frank H. Norton. The Life of Winfield Scott Hancock: Personal, Military, and Political. New York: D. Appleton & Company, 1880. Marcy, Randolph B. Thirty Years of Army Life on the Border. New York: Harper & Brothers, 1866. Martin, Elizabeth S. “A Visit to Fort Howard in 1836,” In Proceedings of the State Historical Society of Wisconsin At Its Fifty-Ninth Annual Meeting Held Ocotber 26, 1911, 181-187. Madison: State Historical Society of Wisconsin, 1912. Nichols, Roger L. “Scurvy at Cantonment Missouri, 1819-1820.” Nebraska History 49 (1968): 333-347. Niles’ Weekly Register. October 30, 1847. Walton, E.P. Records of the Governor and Council of the State of Vermont. Vol. 6. Montpelier: J. & J. M. Poland, 1878. Williams, J. F. “Memoir of Captain Martin Scott.” Collections of the Minnesota Historical Society 3 (1880): 180-87. This entry was posted in Mexican War and tagged 26th U.S. Infantry Regiment, 5th U.S. Infantry, Battle of Molino del Rey, Battle of Monterrey, Battle of Palo Alto, bennington, court-martial, dogs, dueling, lavinia mccraken scott, Lt. Colonel Willoughby Morgan, martin scott, Mexican-American War, muzzleloaders, Randolph B. Marcy, Regiment of Riflemen, Resaca de la Palma, Vera Cruz, Vermont, Winfield Scott, Zachary Taylor. Bookmark the permalink. I’ve enjoyed your contributions, Frank. Thanks for sharing. Thank you for the kind words! The next one will be Civil War related.